Assam Mountaineering and Adventure Institute, Government of Assam is going to organiZe a climbing venture to Mt Papsura (6451metre) in Himachal Pradesh in September. 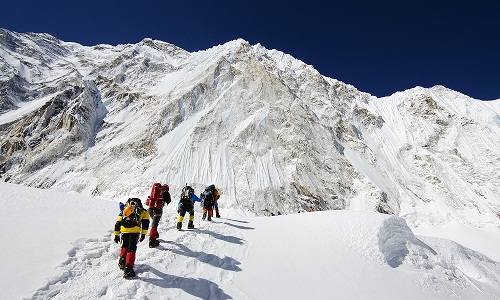 This is the second mountaineering expedition to the mighty Himalaya from the institute. An 11-member team has been selected for the expedition under the leadership of the first Assamese Everester Tarun Saikia. The team will leave on August 31 morning by train from Guwahati. The expedition was flagged off by Director of Sports Pabitra Ram Khound here today. The team members are: Tarun Saikia (leader), Himmat Boro, Dip Jyoti Bora, Manin Boro, Dibakar Das, Arupjyoti Choudhury, Bhargav Borah, Karan Shandilya, Bikram Boro, Uddipan Kashyap, Dhrubajyoti Bora, Nabakrishna Pegu (media).